FFA - Response to Time Warner adding Al Jazeera America to their cable networks. The most effective method to oppose Al Jazeera America is to encourage Corporate America not to advertise on the jihadi channel. Florida Family Association has received many emails and phone calls that voiced concern about Time Warner adding Al Jazeera America to their choice of networks. 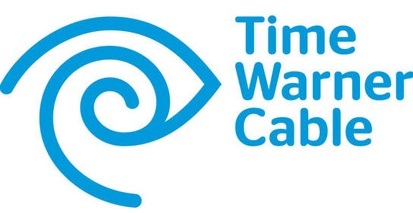 Time Warner added Al Jazeera America to their cable services in New York and Los Angeles and plan to add the channel in the rest of their markets by March 2014. As suspected, it appears that Al Jazeera America will pay Time Warner to carry their channel. The reason for this is because Florida Family Association’s efforts to contact advertisers and Corporate America’s reluctance to advertise on this jihadi channel makes it unprofitable for cable companies to carry it. Al Jazeera America, like other channel owners, has sought an unspecified per-subscriber fee to be carried. But distributors are generally reluctant to add to their crowded lineups, so channels have occasionally paid to be carried. In this case, Al Jazeera may pay Time Warner Cable for marketing and advertising sales support. Consumers, including Florida Family Association supporters, have very little influence with cable and satellite television providers given the limited choices that consumers have with television providers in each market. Most markets have at most two cable companies. Since both major satellite companies, DishTV and DirecTV, carry Al Jazeera America consumers have nowhere to go if the cable companies in their market carry jihadtv. Stop the flow of America consumer dollars to Al Jazeera. Educate hundreds if not thousands of corporate officials regarding issues of concern relating to Al Jazeera and the Islamist agenda. Thanks to the support of tens of thousands of concerned American consumers Florida Family Association’s monitoring efforts have influenced One Hundred Thirty (130) companies to stop advertising on Al Jazeera America. No Fortune 1000 companies are currently advertising on the channel. Florida Family Association plans to target more companies that continue to appear on the channel after receiving communications from our office. Your support of these campaigns is very important.